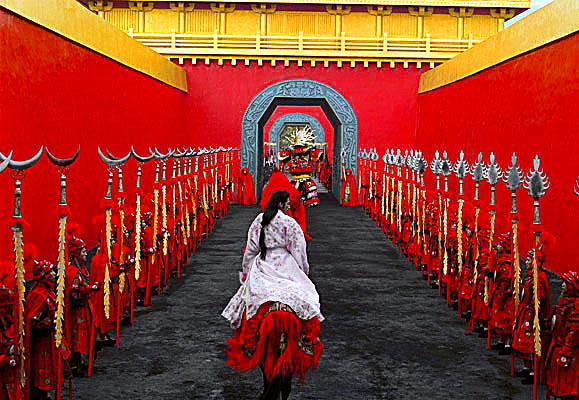 Carrying long spears (mdung) these professional warriors (zimchongpa) wear mail armour constructed of either finely made iron rings or scales (lung gi khrab) or lamellae armor made of thin plates and iron foils (byang bu’i khrab). 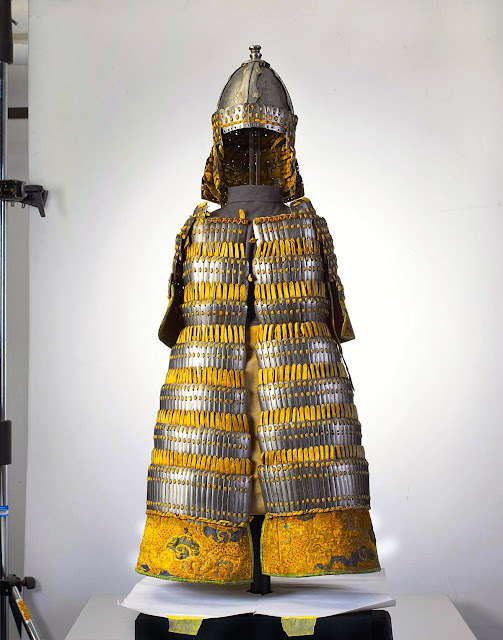 These infantrymen wear a short form of this armour (khrab thung ha) which covers the torso down to the knee. 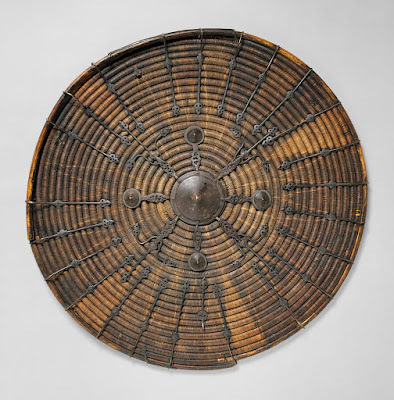 In addition to their long spears (mdung) they carry distinctive rattan or cane shields (sba phub). 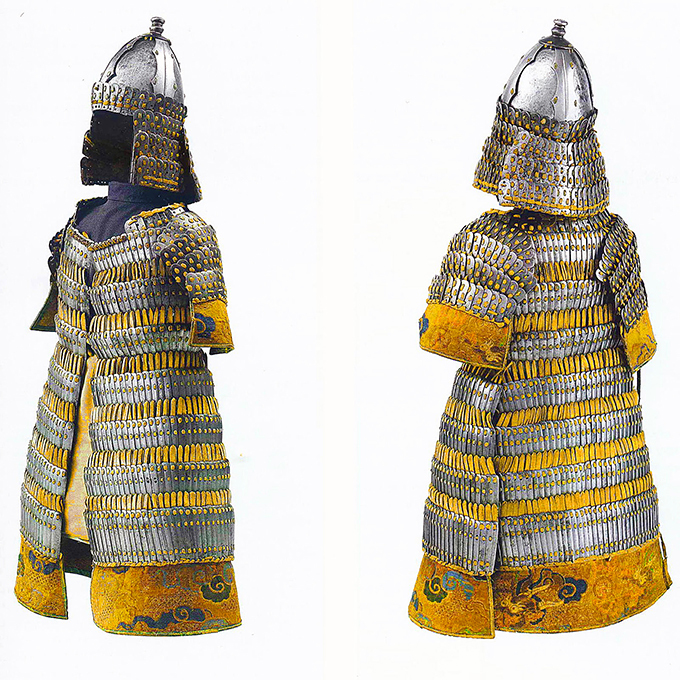 Tibetan armor was heavily influenced by the armors of China and the various Mongol peoples. According to Donald J. La Rocca of the Metropolitan Museum of Art's Department of Arms and Armor, Tibetan soldiers were most commonly protected by body armor, a helmet, and a rattan-reed shield reinforced with iron struts. 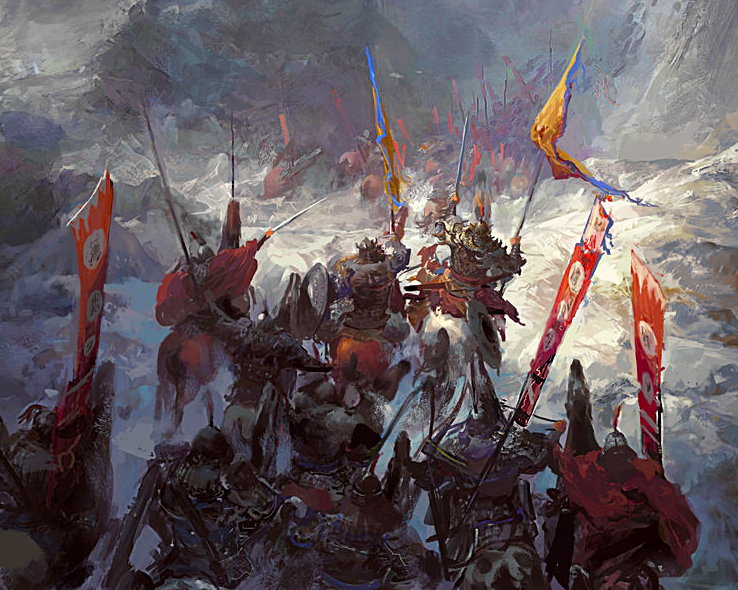 Tibetan cavalry also protected their horses's bodies with thin leather armor and their heads with thick iron plates. The most common form of Tibetan armor was lamellar armor called byang bu'i khrab, which was created by overlapping squares of force-absorbing material. 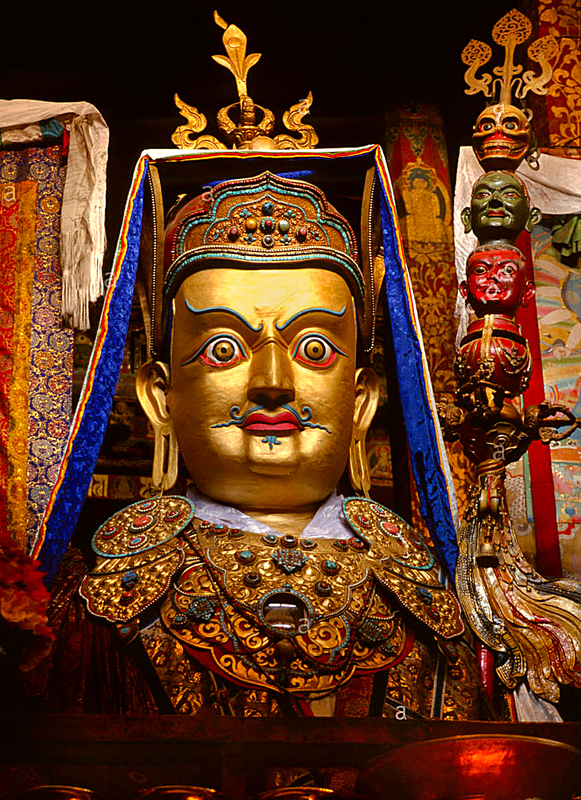 The most common material used in Tibetan armor was leather, as it was lowest in cost. 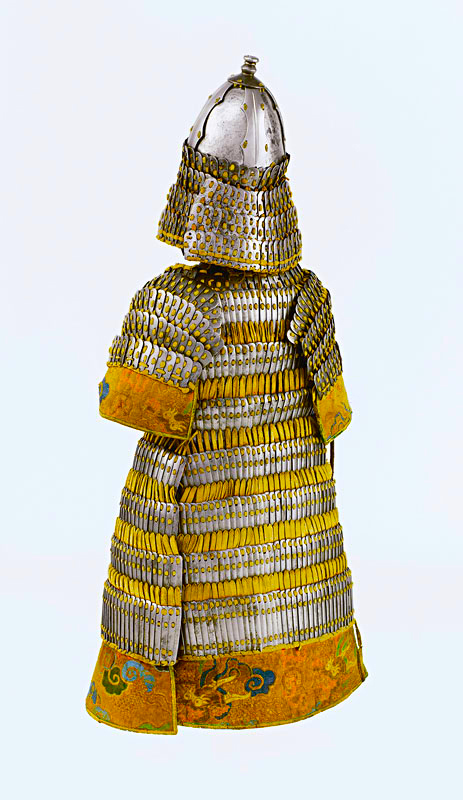 Higher ranking Tibetan soldiers were equipped with iron or copper lamellar armor, often elaborately decorated with gold inlay. 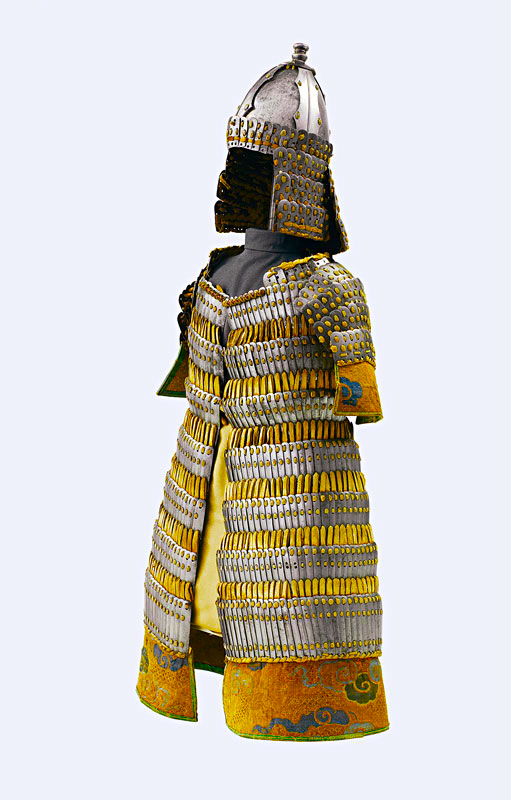 In later eras, iron-worked mail armor became more common, and lamellar armor was gradually replaced with more effective scale armor. Some Eastern Tibetan tribes were speculated to have employed heavy infantry clad entirely in iron armor. 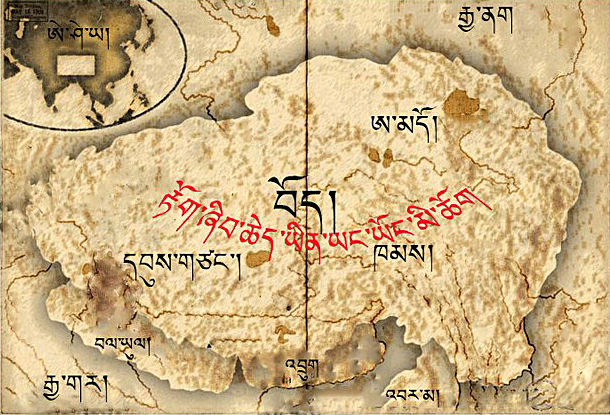 One wonders why the Tibetans constantly attacked made war against Tang China and not with India?, just to its south. Tibet has its own ambitions in the areas of Nepal, modern Assam, Yunnan Province of China, the Tarim Basin and all of the Ferghana Valley- in fact the Tibetans have expanded into the west at such a shocking rate that the Abbasids at their height of power (who was initially allied with the Tibetans) dropped that alliance and sought for an Alliance with the Tang instead. 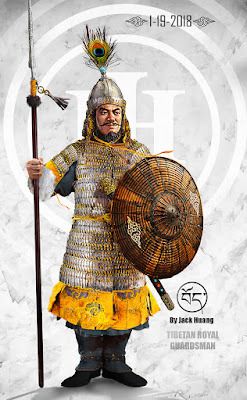 Tibetans attacked Uyghur territory in 816 and were in turn attacked in 821 with an Uyghur Tang alliance (the two were on very good terms during the Tang.) 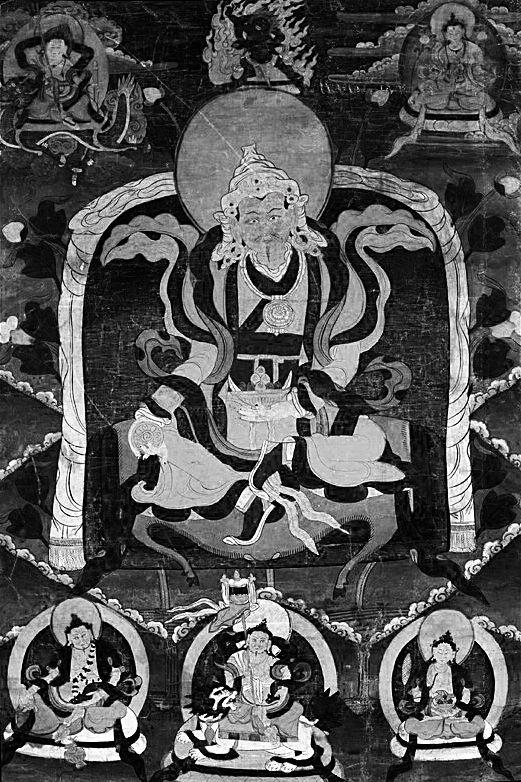 After successful Tibetan raids into Chinese territory, Buddhists in both countries sought mediation. Simply put, by the time Ralpacan was assassinated by the Bon sorcerers and his brother- afterwhich the Empire was shattered into dozens then hundreds of pieces, the social fabric of Tibet was already in great turmoil (never forget the fact that quite a large number of the Emperors were assassinated by their ministers or their successors.) When the central part was wracked in a civil war, all the fringes detached themselves immediately. I should also mention that the Assam region and the region of Bangladesh were located in India and SW Asia. 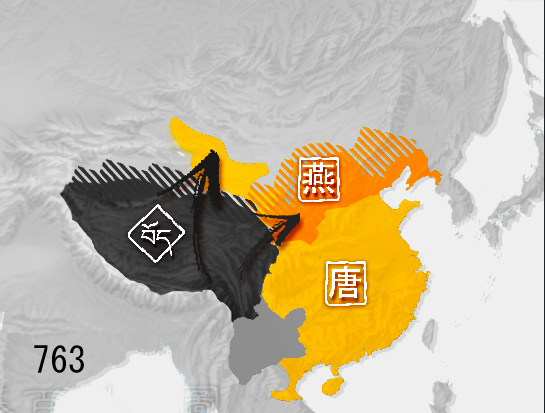 You are right, its's actually easier to attack those territories, since its mostly a downhill attack. 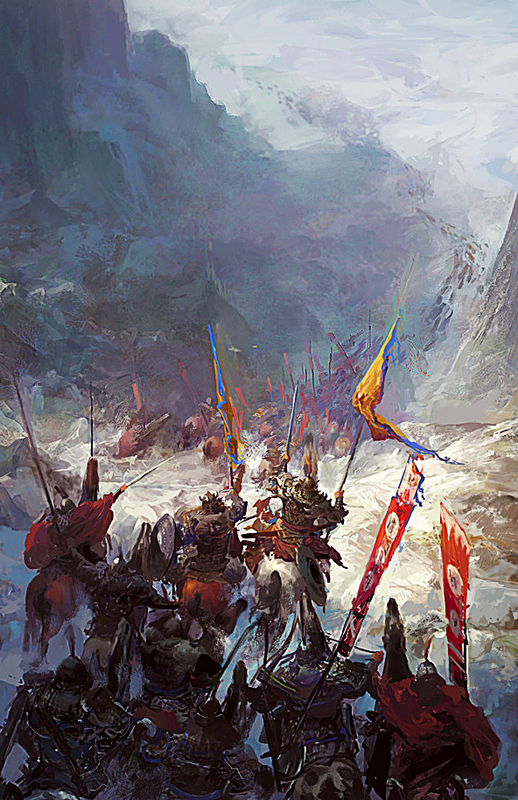 The native states there are easier to subdue than the Tang, who is always creating webs of diplomatic alliances and was able to quickly replenish armies even in their defeats. The fact that you're also asking people to contribute money via Patreon is also a little bit hard to stomach. As Oscar Wilde said "Genius steals" - but a acknowledgement here wouldn't hurt - I worked very hard on that preview, researching content and translating things in Tibetan etc. 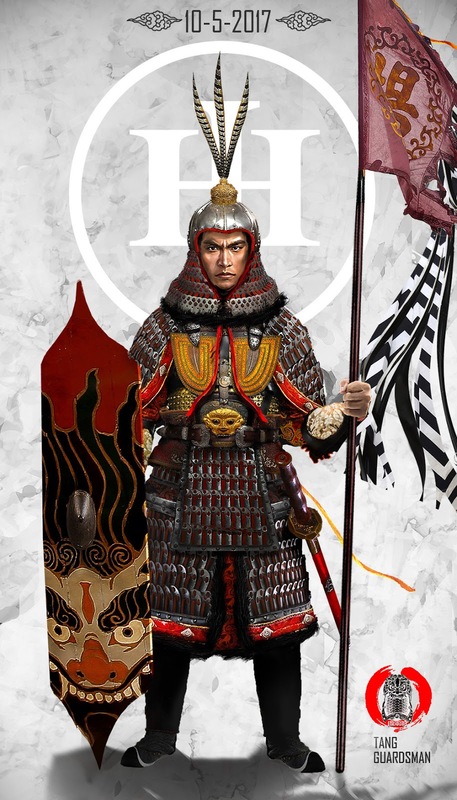 I would dispute that claim Alex, I saw your post on the specific unit, then went ahead and did the artwork for the royal guard. More than anything it was intended to showcase this artwork. The research was yours, no doubt, have I doubted that? Have I claimed that? If you wish for a link to your content on the forum just ask and I'll happily put it in here. But the accusation of stealing is a bit much don't you think? I mean when people quote something or repin something, is it stealing by your metric then? If what you ultimately want is attribution, then all you need is to point it out, no one disputes that. "The fact that you're also asking people to contribute money via Patreon is also a little bit hard to stomach. "- compared to whom? Compared to the endless dozens of Youtubers out there? Compared to say Skeptics who "pwns" SJW content? Compared to Justice Democrats? Well, all I can say on that matter is that how you feel is how you feel. You opened with accusation, then to expression of personal distaste, well on my hand I can only offer practical solutions to this misunderstanding. As for personal stuff, I don't know you. If you can, imagine from my perspective and perhaps you can see where I went and perhaps how I might have stumbled. 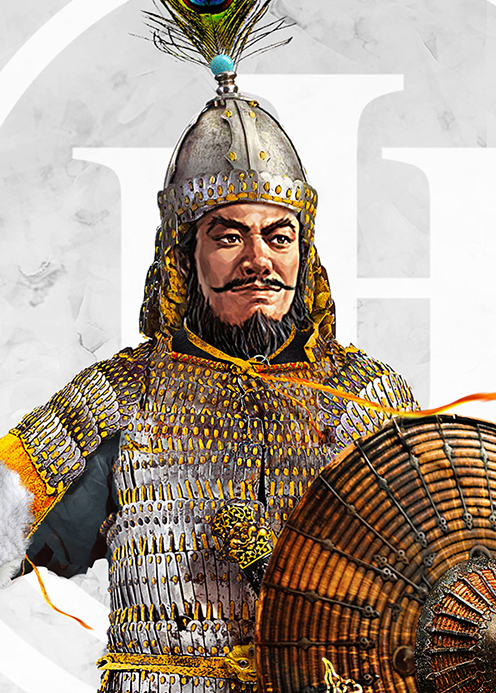 I am a concept artist as well as an avid player of Total War, including the All Under Heaven Mod, I was browsing through the faction rosters and founder something really interesting. Upon such inspiration, I did my artwork, and (perhaps here is where you could allay your accusations) used the paragraph that described the unit and described the royal guard with the information on Total War Forums. Was that impolitique? I think you are right to be upset by it, and if you want links and attribution to the research I'll happily give it. But you must know this, I had no idea, I was not aware that info from a forum was solely done by one person and none other. I mean if you go to forums about Slavic realms, HRE and Khanates they were always pooling reasearchs from everywhere from heraldry to artifacts. So the idea that you may personally want credit for it is unexpected. I didn't know you did the sole research for it. Secondly I must say: to link to a forum section (of a game) is rather a new concept to me. I am simply not aware of it as a convention. I usually link to Google Books, Wikipedia, other people's blogs or websites like Great Ming Military etc, but the notion of linking to game forums is just unimaginable to me (until now.) So perhaps you want me to link to the address you provided?